Late Friday, it was revealed that SpaceX is planning to lay off around 10% of its workforce. In a statement, the company attributed a need to become leaner to meet future challenges. 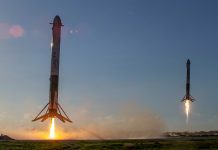 “To continue delivering for our customers and to succeed in developing interplanetary spacecraft and a global space-based internet, SpaceX must become a leaner company,” explained the statement in reference to the development of the Starlink constellation and the Starship and Super Heavy launch vehicles. The move to lay off a portion of the SpaceX workforce is not unexpected. 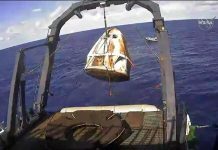 The company has grown rapidly since its founding in 2002 to meet production and development goals of their Dragon, Crew Dragon, Falcon 9 and Falcon Heavy vehicles. The development of many of these projects has been completed or, is in its final stages. The result is an excess of personnel in certain departments. The culmination of the development of the Falcon 9 launch vehicle is likely the largest contributor to the reduction in the SpaceX workforce. The company’s new Block 5 Falcon 9 boosters are expected to complete more than 10 missions each, depending on the specific mission requirements. As a result, fewer new boosters and the Merlin engines that power them will need to be produced. This slow down in booster production will leave the Falcon 9 team bloated and underutilised. The shift in priorities is additionally echoed on the SpaceX careers page. The company currently has several open vacancies for positions from Recovery Operations Engineers to Software Engineers specifically for the development of the Starlink network. This seems to substantiate that the layoffs are target driven rather than driven by financial difficulties. As SpaceX move to founder and CEO, Elon Musk’s vision of enabling human beings to become an interplanetary species, the company will need to carefully examine every dollar it spends. 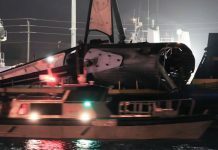 This is made even more important after the Starship and Super Heavy launch vehicles have failed to garner any significant government funding from the US Air Force or NASA. As a result, if the company hopes to realise these vehicles, cutting unnecessary expenditure will be paramount.